There are a number of sensors with I2C interface. The I2Cdev project offers a set of libraries to work with these. We will look at how to interface 3 such sensors(one at a time!) to our Induino R3 Board (same works for all Arudino Boards as well!) using this library. Extract the downloaded file and go inside the Arduino folder inside the extracted file. This folder has a number of libraries. We will copy the 4 libraries - I2Cdev, MPU6050, BMP085 & HMC5883L. Follow the manual library installation process from here for each of these libraries. 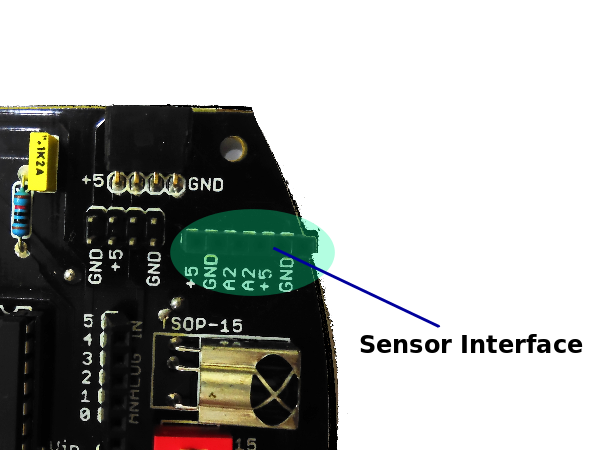 To interface these sensors, you would need a breadboard and some wires to place and connect these sensors. 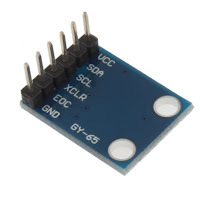 Upload the program and watch the various values for Accelerometer / Gyro in your serial monitor. Now this program has options to configure various calculated outputs. Go through the comments and use wisely. Upload the program and watch the various values for pressure in your serial monitor. These are raw values. You can further experiment by modifying the following program from http://bildr.org/ This Program works on bare I2C communication without any libraries. Get pressure, altitude, and temperature from the BMP085. float atm = pressure / 101325; // "standard atmosphere"
Serial.print(pressure, 0); //whole number only. delay(1000); //wait a second and get values again. A Digital Compass is a simple magnetometer that is used to calculate the strength of magnetic fields and calculate the direction. Upload the program and watch the various values for pressure in your serial monitor. 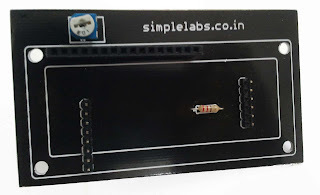 I2C is short form for 'Inter Integrated Circuit' I2C Communication is Communication Bus standard developed by Phillips for standardising Communication between Integrated Circuits. For Eg. In a circuit, there could be a number of ICs each offering specific functionality[RTC, Temperature Sensor, EEPROM, etc] and they can all communicate on a single I2C Bus and provide combined functionalities. Each device on the I2C Bus would have a unique address by which it can be addressed. 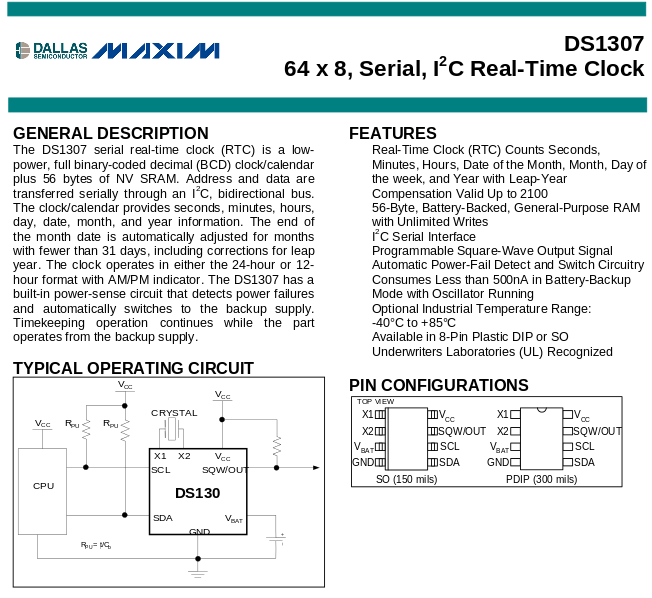 The I2C Bus uses 2 lines for Communication - SDA(Serial Data) & SCL (Serial Clock). 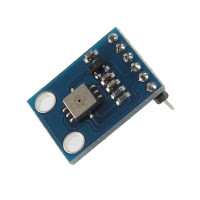 On the Induino R3 / Arduino, these are available on SDA (Analog Input 4) & SCL (Analog Input 5). 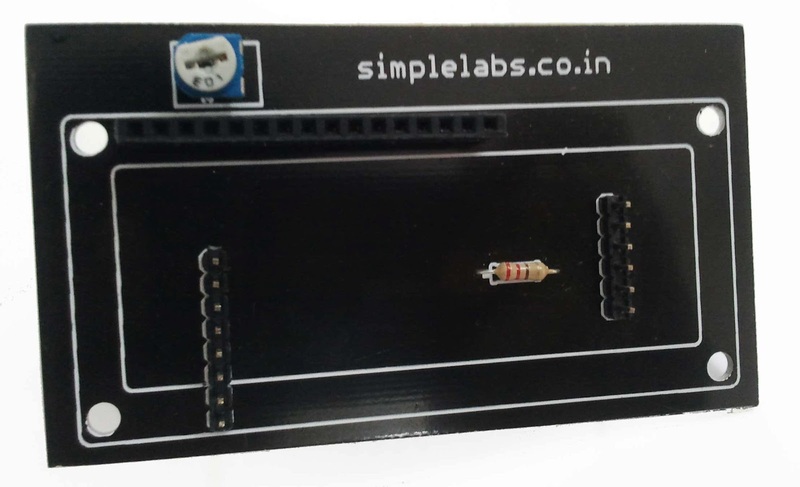 The Induino R3 Also has a I2C Interface to match the Simple Labs RTC Breakout Board. 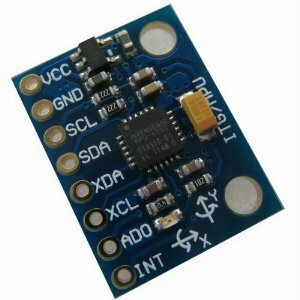 The I2C bus can be accessed using the 'Wire' Library of Arduino. 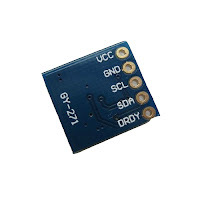 I2C devices are often independent devices that provide us with specific functionality. Each of these devices will have an unique 8-bit address. The 8-bit address limits the number of possible devices on an I2C bus to 255 slaves and 1 Master. In our case, Our ATmega328 would be the master. The Slave devices provide the the required data through registers. These registers can be accessed / manipulated by the master. If we want to write data (set time), Write the Data to the device 1 Byte at a time. The register pointer will keep moving automatically by the number of bytes we write / read. If we want to read data (get time), Initiate a request to the device, with the number of bytes of data you want to read. It would then read that number of bytes starting from the register location you wrote in step 3 and return it. The returned data is stored in the I2C buffer. While the previous programming guideline is an outline, the specifics of the data will depend upon the device so you will have to read the datasheet of the device to get a finer understanding. 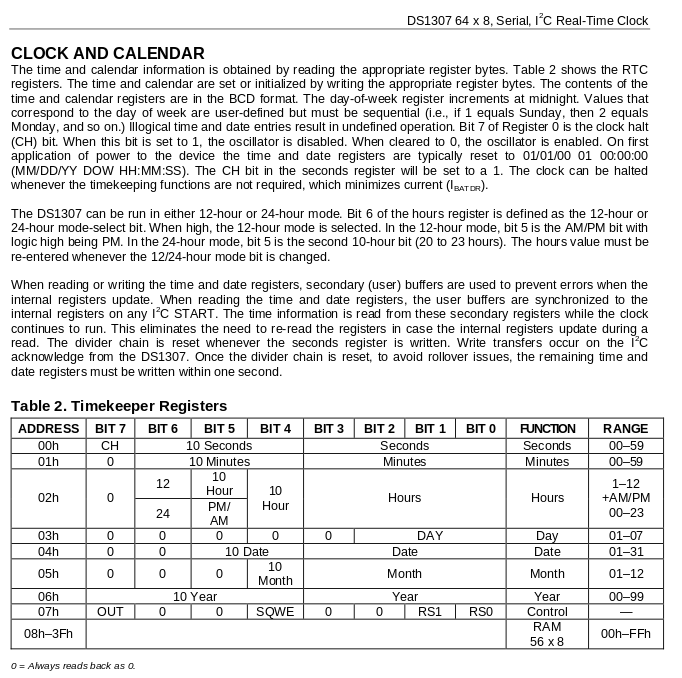 Here are 2 pages from the Datasheet of DS1307 that we need to read before being able to program it. Read it, Read it again, try to understand it before you proceed. 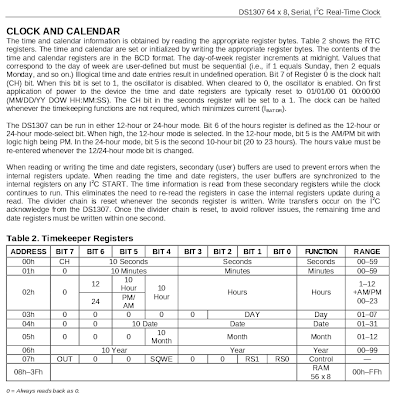 Page 8 of the datasheet lists the time keeper registers with their address and what they are used to store. These are the registers which we need to access to set / get time information from the DS1307. Data in these registers is stored in the BCD (Binary Coded Decimal) Format. Note that different registers are of different size - excepting the years register all the other registers take a 7 bit value. Now when we read the registers, we again will get data in the BCD format, we need to convert it to decimal before making use of it. Here's how we can convert the 145 back to 91.
for the hour value, read the 1 byte of data, evaluate the special parameter bits and modify the BCD value accordingly and then Covnert the modified BCD value back to normal decimal and store it in a variable. Also while evaluating the Special Parameter bit, store the time mode in a variable for later use. set_time(31,12,12,7,11,59,50,2); // Call the set_time function to set the intial time. Here's another interesting Program that uses the button on pin 7 to enable / disable an Alarm that goes on a particular day at a particular time. This program uses the LCD to display the time. int match_cnt = 0; // This helps us ensure that alarm goes on only on the first instance of the time matching. set_time(31,12,12,3,11,59,55,2); // Call the set_time function to set the intial time. The LCD Shield eases the process of interfacing a LCD display with the Induino R3 / Arduino. The shield fits on top of any Arduino Board and takes power from the Arduino Board. The LCD shield is designed to work with 16 pin LCDs with the following pin configuration. 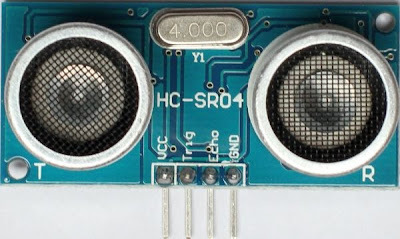 The LCD shields provides a 4-bit mode interface to the Arduino. The Pins are connected as follows. How to place the Shield on top of an Arduino? Arduino IDE has useful LCD library - LiquidCrystal - This library helps us interface character lcds with ease. The library supports both 8-bit and 4-bit mode of working with LCDs. If you had read the above write up, its our good bet that all those programming how to got to your head. Well, the LiquidCrystal library takes it all away for us. dsiplay data on the lcd using the lcd.print(data) function. The lcd.print() function takes the data to be displayed as parameter and prints it. // The HCSR 04 is triggered by a HIGH pulse of 2 or more microseconds. // and return, so we divide by 2 to get the distance of the obstacle. The Induino R3 has 2 On-Board Interfaces for controlling Servo Motors. This is Next to the Sensor Interface on the Induino R3 Board. 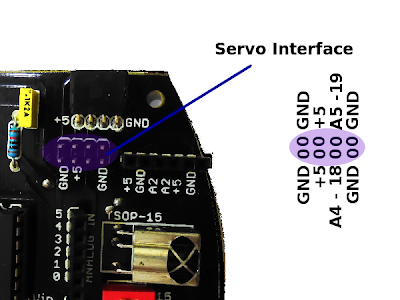 The Servo interface has a +5V supply line for the servos that is being shared with the microcontroller. The Pins A4-18 / A5-19 are the Signal Pins. 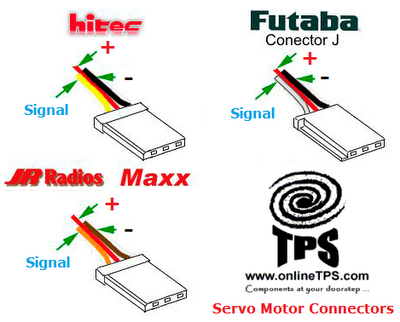 Servo Motors - What are they? Servo motors are dc motors with a servo mechanism that lets us control the precise position of the Shaft. A servo mechanism is a error correction mechanism that senses the negative error and applies a correction accordingly. There are many types of Servo Motors available - depending upon applications. 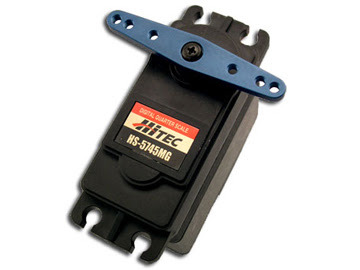 They are used in areas requiring position control. While the basic working of all the servo motors is almost similar, for the scope of this tutorial we shall stick to discussing RC Servo Motors or the type of Servo motors used in Robotics / Radio Control Projects. A Servo motor constitutes of 4 parts - a DC motor, a Gear system, A Potentiometer(for sensing feedback) and a Control Circuit. Here the Control Circuit and the Potentiometer together form the Servo Mechanism. 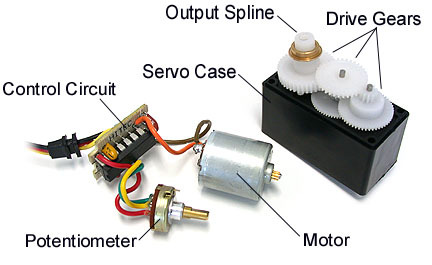 So How do Servo Motors Work? 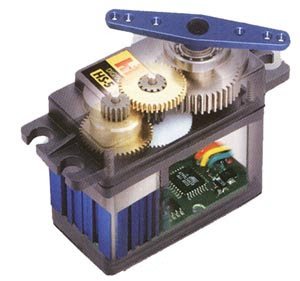 The Control Circuitry on the Servo motor drives the DC motor based on input signals it receives, The output shaft of the DC motor is connected to the gear assembly and the gear assembly is such that it moves the potentiometer when it rotates. The Control Circuitry gets feedback from this potentiometer and spins the DC motor to achieve the desired angle between 0 & 180 degrees. The range of movement of the potentiometer is mechanically restrained. And How do we Control these Servo Motors? To Control a servo we need to give it a pulse once every 20 milliseconds. The Duration of this pulse will determine the Servo Angle which we need to achieve. For most Servo's a Pulse duration of 1millisecond will set the shaft position to 0 degrees and a pulse duration of 2 milliseconds will set the shaft position to 180 degrees. Control the Servo using the write() function of the Servo Library. the write() function takes in a degree value in the range of 0 to 179 as input parameter and creates the required control signal on the servo pin. Next Let's see how we can control the Servo using the Light Intensity sensed by the On-Board LDR. map(value, fromLow, fromHigh, toLow, toHigh) - The map() function re-maps a number from one range to another. That is, a value of fromLow would get mapped to toLow, a value of fromHigh to toHigh, values in-between to values in-between, etc. We have an on-board IR LED on the Induino R3 Board. When we were designing the first Induino Board, we thought it would be fun to be able to control a television from the board and ended up adding the IR LED to the board. On top of being able to control devices with remote control, the IR LED can be combined with the TSOP to build a simple wireless communication system. However to try the wireless communication system, you would require two Induino R3 Boards. It is not a visible spectrum LED, so you will not be able to see it glowing with your naked eyes, if you look at the IR LED through a camera, you will be able to spot a Pink glow - that's the IR LED glowing. The IR LED on the Induino R3 board is driven by a simple driver circuitry and might not be as powerful as the one in your remote. You might have to point it in a straight line to get it working. The Sony SIRC protocol works at 40Khz...most remote controls work at their specific frequencies. TV remotes in India are generally between 32- 40Khz frequecny. So whats this frequency all about? 40KHz means 40,000 Cycles in 1 second. Each Cycle represents a ON signal followed by a OFF signal. The signals could be of equal duration. If you look at the image, you can see the the 1.2ms high of the Logical '1' has further black lines with spaces in between. These correspond to the ON/OFF cycles. The space between these is what is called the frequency. The frequency of occurrence of a ON/OFF cycle is what it means. So How do we generate it? so each cycle if for a duration of 25 microseconds. We can produce this frequency if we can make a pin go high for 13 microseconds followed by low for 12 microseconds. If we can do this for 2.4 milliseconds then we can generate a Start bit, if we can do this for 1.2 milliseconds then we can generate a Logical '1', and for 0.6 milliseconds, we can generate a Logical '0'. delaymicroSeconds(time in microseconds) => the delayMicroseconds() function takes a parameter and produces a corresponding delay in microseconds. Since we will be working with Binary Numbers, We shall use the boolean data type. Note: In the above function, the second for loop has to be changed to for(int i=11;i>=0;i--), if you are using the IR remote library at the receiving end. This is because the IR remote library process the 12-bit data in a different way, it takes the first data received as the MSB and the last data as LSB. Whereas our custom program takes it the other way. Here's a program to work with one of our previous programs 7.1 (Remote Controlled Binary Counter with our Custom Receiver Program) Load this program into one Induino R3 board and the other Program into another Induino R3 Board. Place the boards Apart with the IR LED of One Board facing the TSOP of the other and watch the binary counter increment automatically. Now to connect any other variable resistor type sensor in the voltage divider configuration, place one leg of the fixed resistor in GND and another leg in the A2 pin next to ground. Then place the variable resistor sensor between the next A2 Pin and +5V pin next to it. That's it you are set to go. Look at this image of how we have connected a Force Sensitive Resistor. The programming for this would be the same as that of the LDR. The LM35 is a temperature sensor that output a 10 millivolt / per degree C output. 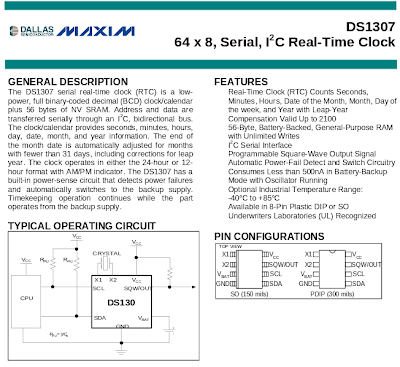 (Read the first page of the datasheet here). 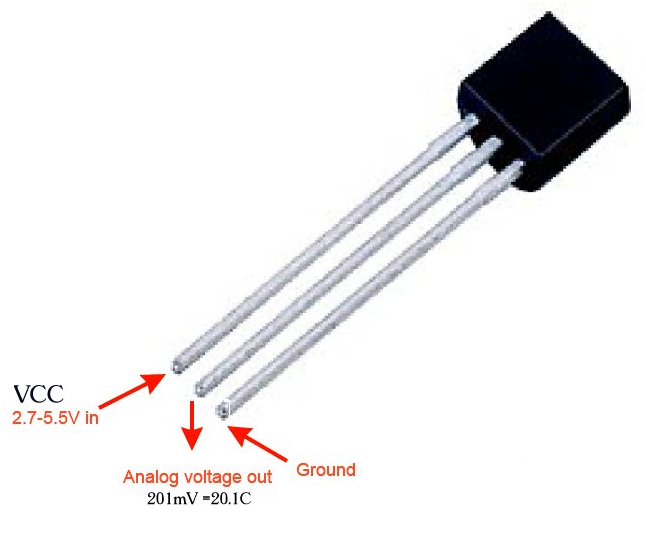 Here's a pin diagram for the LM35. The Flat side is facing up in the image. Now Place the LM35 on the Sensor Interface Pins as shown in the image below. The Curved Side View of LM35 Placement. Let's get to the programming now. The LM35 gives a linear output of 10 miilivolt per degree Celsius. It can measure temperature in the range of -55 to 150 degrees. Our Analog Input Resolution is 10 bits. So we will be getting 0 to 1023 values for 0 to 5 volts. So every increase in the numerical value signifies an increase in temperature by 0.5 degree. We shall need to use this derivation in our calculation. If you notice in the above program, our temperature measurement has a precision in the range of 0.5 degrees. What do we do if we require a finer precision, say 0.1 degree? How do we get it? Well if you noticed, the temperature range of LM35 is 150 degrees maximum which corresponds to 1.5 volts, the LM35 will never output a value beyond 1.5 volts. Now what if we can set the higher limit for our voltage value as 1.5 volts instead of 5 Volts? We would get an increased precision. Now thats more precise than what we started with. pulseIn(pin number, signal type) => the PulseIn() function returns the duration for which the given pin is either HIGH or LOW(HIGH or LOW can be the signal type parameters passed to the function) The duration is returned in microseconds. // The PING))) is triggered by a HIGH pulse of 2 or more microseconds.